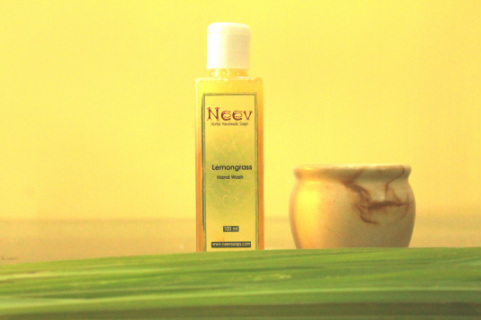 Benefits : Lemongrass Oil is a great astringent and helps clear up excessive oily skin, antiseptic and antifungal properties, treats various skin orders, Coconut Oil is an effective moisturizer and treatment for skin infections. Ingredients : Coconut Oil, Palm Oil, Lye, Tween 80, Distilled Water and pure essential oils of Lemongrass Oil, Lavendar Oil, Lemon Oil. Benefits : Neem Oil relieves dry and itchy skin, beneficial for eczema prone skin, protects skin from environmental pollution, is antifungal and anti microbial, improves elasticity of skin; tulsi oil is endowed with antiseptic and purifying qualities which help to prevent skin diseases, is antibacterial, cooling and refreshing.